Namaste, I send much love and light to you. Here is a beautiful message for our beautiful healing journey, which is a very sacred journey of love as we have travelled many journeys to come here to this sacred time when we can understand the Great Awakening happening within us. Each journey we take leads us to greater choices and greater decisions. Each door we open leads to other choices and other opportunities for growth. Each choice we make brings us deeper spiritual growth experiences, which is symbolized with the green eyes. Green being for healing, for love, for compassion, for deeper wisdom, for greater growth, especially so with the light within the eyes. Each experience we have, we grow into greater strength and love, so no experience is ever for nothing. We have many choices in life. Each choice can lead to more love, growth, joy, or it can give us pain and then that pain needs to become healed. Those choices and those paths are shown by the brown paths, always leading to the healing journey. Here your greater spiritual journey is as the ball, the orange ball with light, bouncing in the sea of opportunities as shown by the blue. This ball is not stagnant. It moves around the circle very quickly. The orange is for investigating, for discovering stronger identity, stronger inner flow and stronger connection within. The light within the orange ball shows we are always connected to light and we carry light within us. 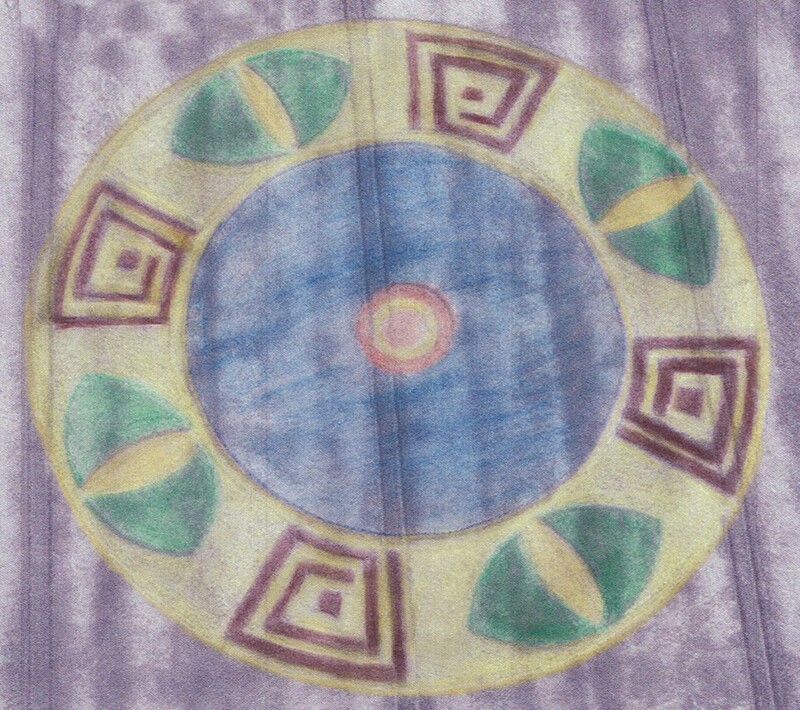 The circle within also shows our illusion we create and that we can venture out of the greater circle of the Divine. We are creating our realities with our choices in life. Which choices will we make in our lives. Once we learn to look upwards and understand our greater path of journeying through the choices and the awakening frequencies, we begin to see our soul journey and a great theme will be shown to us for all the journeys we have made. It is at this time that greater revelations on a spiritual level will be shown to us.